Smooth, sweet, aromatic! 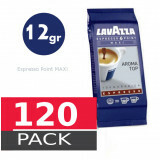 This well rounded blend produces a coffee that is perfectly formed, offering you a bouquet of fragrances and an intensity that is a harmony of crema and taste.A sweet blend to make an es..
Full box of Lavazza Capsules double shot pods! 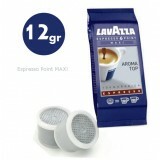 - Quick sale - Coffee blend with intense and aromatic flavour and consistent long-lasting crema. An excellent choice for all coffee lovers.Blend of the best Central an.. 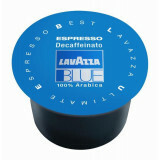 This blend in capsules for BLUE system is a real classic coffee by Lavazza. It's a blend that combines Brazilian and South American coffee with the best varieties of Indonesian Robusta. 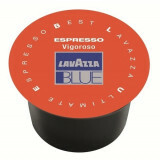 This yields part..
Lavazza, the largest coffee company in Italy, developed this high quality blend in capsules for BLUE system. 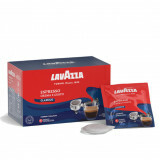 This is a 100% Arabica blend with a sweet and fragrant aroma composed of top-quality Brazilian and Indian..
Lavazza Vigoroso is made of 50% Arabica coffee beans from Central and South America and 50% of washed Robusta coffee from South Asia. This is a very dark roast for a strong and full-bodied blend. 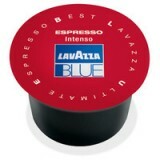 The dark roasting,..
Decaffeinated blend of Brazillian and Asian coffees medium roasted, which thanks to the innovative Lavazza BLUE extraction system gives a full sweet taste with a chocolatey finish and a rich tasting crema. 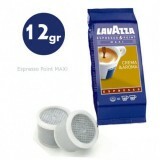 Lavazza Pods H..
Creamy and full-bodied. Intense and well-balanced aroma, full-bodied, and fragrant flavour, rich aftertaste with chocolaty notes. 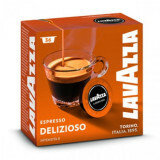 A classic dark roast by Lavazza. You won't be disappointed! Each pack contains 18 si.. Blend of the best Central and South American Arabicas (40%) and the finest Asian Robustas (60%). 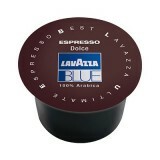 The Italian Espresso.Compatible with ONLY with Espresso Point Machines! (contact us if unsure of your machine)Not suitable .. Lemon tea on Ice - Perfect for hot summers! A refreshing, delicate, well-rounded tea with citrus notes. 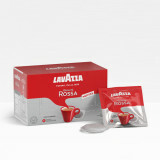 Perfect for any time of day, from breakfast to tea time, this is an especially thirst-quenching and refreshing tea..
Lavazza Qualità Rossa – An espresso blend for the Italian way of lifeStart your day the right way with the Lavazza Qualità Rossa, one of the original and most popular blends from Lavazza. Qualita Rossa is made from.. The class, character and warmth of this blend will utterly win you over. 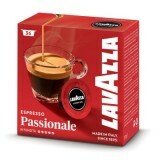 Dark and full-bodied, this superb blend is the pinnacle of 110 years of Lavazza passion and expertise in the creation and preparation of great Ital.. This perfect blend captures all of your senses in a moment of complete pleasure. 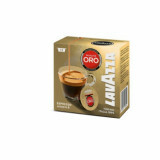 A great, well rounded body and rich aromas produce an exceptionally full flavoured coffee. A smooth blend with all the intensity of an Ital.. Smooth, sweet, aromatic! 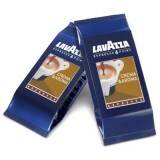 A sweet blend to make an espresso with a gold crema and Delicious taste by Lavazza. 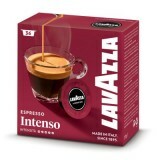 The best coffee from Brazilian, Asian and Central-South American Arabica, for an e..
Lavazza Qualità Oro– Fruity and aromatic, with notes of malt and honey100% washed Arabica from Central and South America. 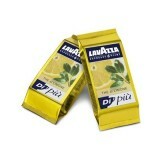 A medium blend with an intense and fragrant aroma, a sophisticated and refined taste. ..
A blend of 100% Arabica coffees from Brazil and Southeast Asia Sleeve of 20 capsules = 40 coffee Capsules are for Espresso Point MAXI only! (adapter not required) ..